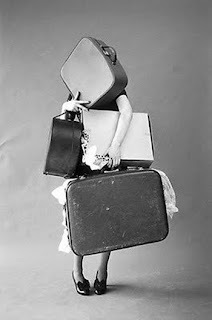 I was getting ready for bed last night when my brain started ticking: what and how am I going to pack for our move? I've packed big before, once for a three month trip to Argentina and then my move to Cali. Moving overseas takes it to a whole new level though. Our goal is to each check two bags for our flight. Once we find where we'll live we might have a box of books and perhaps one with kitchen/household supplies shipped to us. On previous trips I've used vacuum bags for clothes and they've worked tremendously. We were gifted some so I'll definitely use them. I also like the roll up method for packing clothes. It seems to save space but I'm not 100% sure. What do you think? I'm praying I'll have room for my crafting supplies. I'd be pretty sad if I can't squeeze them in. I'd love to hear any packing tips you have. Also, if you've been to/lived in England, which things you'd advice we take along. A sweet lady from our church in CA, for example, bought us all the spices we could possibly need because she says food there is bland. I wouldn't have thought of that. In other news, Kurt and I had a much needed date night tonight. It seems funny to say that since we've been spending so much time together, but with all the traveling and staying with family, our regular way of communicating and "spending time" together had been thrown off. It was nice to get away. We went to cute downtown Downers Grove and had Giordano's. Mmmm! 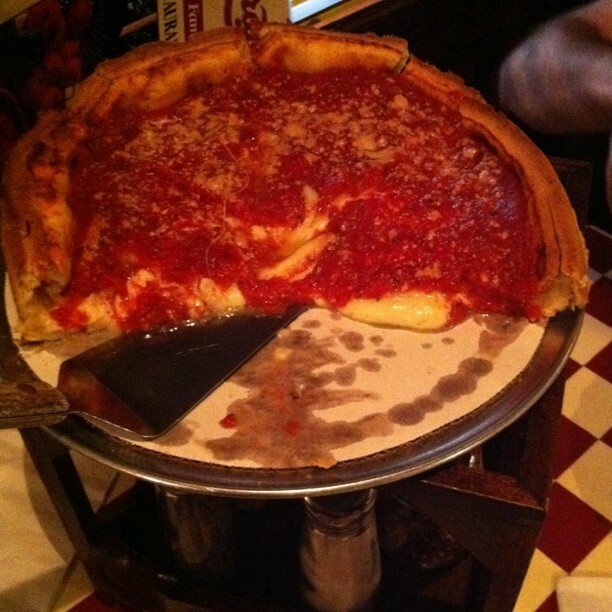 I love Chicago style pizza.